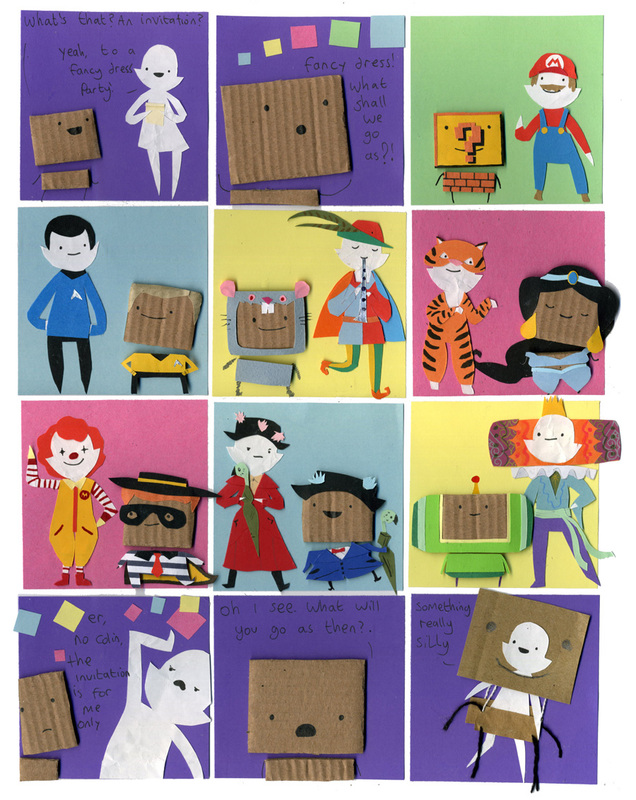 My favorite thing about your comic is that is made entirely of collage. I love seeing gummy candy and coins being brought to life! It is so amazing all the different detailed shapes and patterns that are in your comic. 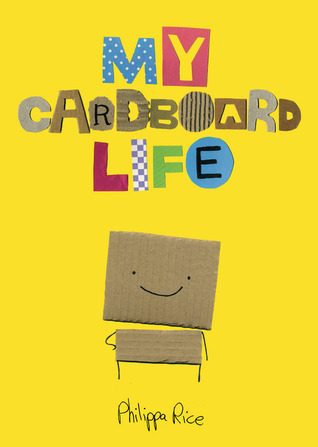 You’ve created a very exciting and colorful world surrounding Colin, the cardboard boy. I always wonder if you use post-its or cut out your perfect squares yourself. You have amazing paper skills! I love when you add costumes or clothes to your reoccurring characters (like below.) You create such intricate outfits and designs! I am not sure what size you work at (8×11 paper or bigger?) And I wish I knew where you get all your cool fabric and paper! I just really admire your work and think it is super unique!! All Images Copyright Philippa Rice.